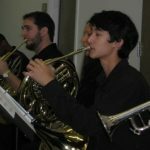 The Greater New Orleans Youth Orchestras has as its participants, a substantial percentage of the most capable, hardworking, and talented young musicians playing orchestral instruments in and around the metropolitan area. In order to provide our participants an optimal level of performance and the opportunity to play the widest variety of outstanding symphonic repertoire; balanced instrumentation throughout all the sections of the orchestra is essential. 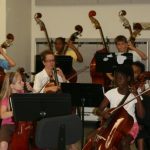 Towards this goal, GNOYO developed the Endangered Instruments Program (EIP) for aspiring young musicians in need in our community who play viola, cello, string bass, french horn, bassoon, or oboe. The program provides highly motivated students of exceptional promise scholarships, based on financial need, for private lessons with an excellent studio teacher. Maximum age to enter program: 15 (No minimum age requirement). Continued participation in their school program. Participation in GNOYO when sufficiently proficient on instrument. Private lessons must be with a GNOYO approved teacher (information available upon request). Scholarships will only be awarded for oboe, bassoon, french horn, trombone, viola, cello, or string bass. 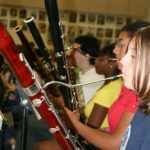 Students currently playing other instruments who are willing to switch and have access to instruments offered are eligible.